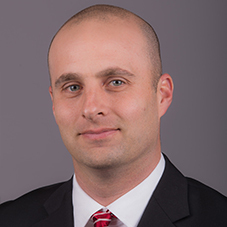 Barry Lunney Jr., a former Arkansas starting quarterback, is entering his seventh season as tight ends coach at his alma mater and his first as the Razorbacks’ special teams coordinator. Lunney has strengthened the program’s reputation as #TEU over his five years. Lunney’s work has not only resulted success as Razorbacks, but also caught the interest of NFL personnel. Highlighted by Hunter Henry being the first tight end taken off the board in the 2016 NFL Draft, Arkansas is the only program in the country to have a tight end taken in each of the last three drafts dating back to 2015. From 2014 to 2016, Lunney helped develop Henry into the best tight end in the nation. On December 9, 2015, that became official when Henry was named the John Mackey Award winner following his junior season. Henry joined D.J. Williams as former Razorbacks to win the award to make Arkansas the only program to have multiple winners in the award’s history. Lunney serves as the team’s primary recruiter in the state of Arkansas. The Razorbacks signed 10 players from the Natural State in the 2015 recruiting class, the most in-state signees since 2008. Arkansas’ haul also featured the nation’s best class of tight ends. After earning All-SEC second team honors in 2013 and 2014, Henry won the John Mackey Award and was a consensus first-team All-American as a junior in 2015. He led all Football Bowl Subdivision tight ends with 739 receiving yards on 51 receptions – each career highs – and hauled in three touchdown passes. In addition, Henry and tight end mate Jeremy Sprinkle combined for a league-best 1,128 receiving yards and eight touchdowns. The 1,128 receiving yards are the most by an Arkansas tight end corps in program history. During his career, Henry hauled in 116 passes for 1,661 yards and nine touchdowns. He is one of only eight tight ends in SEC history to reach the triple-digit mark in receptions while playing in the conference. Of the eight, he is one of four to tally more than 1,500 receiving yards. In addition, his 1,661 career receiving yards rank second in program history among tight ends, only trailing Williams (1,855, 2007-10). His 116 receptions and 1,661 receiving yards through the past three seasons were both tops in the SEC among tight ends. A fellow Arkansas native, Henry was selected with the 35th overall pick by the San Diego Chargers in the second round of the 2016 NFL Draft. A year later, Sprinkle followed Henry’s footsteps and was taken by the Washington Redskins in the fifth round of the 2017 NFL Draft. During his senior season, Sprinkle set the Arkansas record for career TDs by a tight end with 11 and was also invited to play in the Reese’s Senior Bowl. Lunney also oversaw the transition of AJ Derby from quarterback to tight end. Derby finished fifth in the SEC with 303 receiving yards during the 2014 season and was a sixth round draft choice of the New England Patriots despite playing the position for less than a year. In his first season coaching the Razorback tight ends, Lunney led Henry to second-team All-SEC, Freshman All-America and SEC All-Freshman Team recognition. Henry’s receiving yards ranked third in the nation among freshman tight ends, and he was the only freshman tight end in the SEC with a 100-yard receiving game. Henry also led SEC tight ends and ranked third in the conference by gaining a first down on 78.6 percent of his receptions. Before returning to the Razorbacks, Lunney served as the offensive coordinator and quarterbacks coach at Bentonville High School from 2005-13. In his eight years at Bentonville, the Tigers won 78 games, including 25 straight in 2010-11, played in four state championship games, claiming state titles in 2008 and 2010, and won six straight 7A West Conference crowns from 2007-12. Bentonville played in three 7A state championship games and won at least 12 games in four of his last five seasons. Bentonville quarterback Dallas Hardison broke the Arkansas state single-season completion percentage record in 2010 and bettered the record in 2011 under the direct guidance of Lunney. In 2011 and 2012, the Tigers won their first 12 games to advance to the state championship game with an offense that averaged 42.5 and 36.8 points per game, respectively. The 2010 Bentonville team finished the season 13-0 and won the 7A state championship. The offense averaged 47.0 points per game and scored at least 40 points nine times, including 49 points in the semifinal round and the state championship game. Lunney’s first state title at Bentonville came in 2008 as the Tigers won 12 games for the first time since 2001. The offense averaged 30.2 points per game and scored more than 30 points in seven of 13 games. Before moving to the high school coaching ranks, Lunney compiled seven years of collegiate coaching experience. Lunney spent two seasons as the co-offensive coordinator and quarterbacks coach at San Jose State. During his tenure, the offense produced six all-conference performers, and tight end Courtney Anderson was selected by the Oakland Raiders in the 2004 NFL Draft. In 2003, the Spartans ranked 17th in the NCAA in passing offense and quarterback Scott Rislov ranked third in the WAC in passing efficiency and total offense. Prior to that, Lunney spent three seasons at Tulsa, first working with quarterbacks in 2000 and 2001 and then moving to wide receivers in 2002. In 2000, quarterback Josh Blankenship ranked fifth in the WAC in total offense and receiver Don Shoals led the conference and ranked 11th in the NCAA in receptions per game. His coaching career began with two seasons as a graduate assistant at Arkansas. In 1998, Arkansas won its first eight games and rose to No. 9 in the national rankings on the way to sharing the SEC Western Division title and earning a berth in the Citrus Bowl. Lunney served as the Razorbacks’ running backs coach for the bowl game and throughout the spring of 1999. Arkansas spent the majority of the 1999 season in the top 25 of the national rankings and finished the year with a 27-6 win over No. 14 Texas in the Cotton Bowl. As a player for the Razorbacks, Lunney lettered from 1992-95, starting 40 games at quarterback, and was a team captain on the 1995 team that played in the SEC Championship Game for the first time in school history. In his first game as the starting quarterback, he led Arkansas to an upset win at No. 4 Tennessee. He left Arkansas holding school career records for passing yards, passing touchdowns, pass completions, pass attempts and total offense plays. Lunney also played baseball at Arkansas. He was drafted by the Montreal Expos out of high school in 1992 and by the Minnesota Twins in 1996 and played one season of minor league baseball in the Twins organization. Lunney graduated from Arkansas in 1996 with a bachelor’s degree in kinesiology. He and his wife, Janelle, have two sons, Luke and Levi. His grandfather, John lettered at Arkansas from 1946-49. His father, Barry Sr., recently retired after 28 years as a high school football coach in Arkansas, winning eight state championships at Bentonville HS and Fort Smith Southside HS.